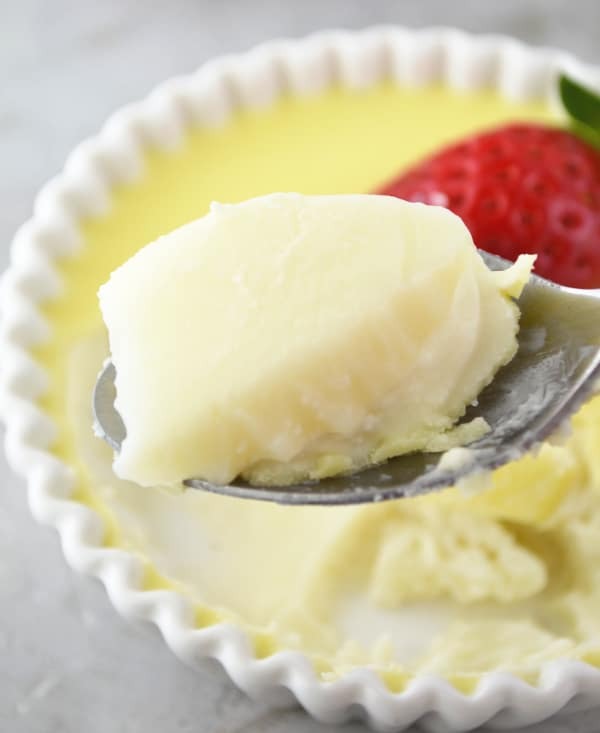 This delicious White Chocolate Panna Cotta is super easy to make making it the perfect make ahead dessert that’s sure to impress! I hope you’re all having a great week so far? I have a delicious dessert for you today, white chocolate panna cotta. Panna cotta ‘cooked cream’ is one of my favourite Italian desserts. It’s unbelievably easy to make and can be adapted with so many flavourings; vanilla, coffee, citrus, chocolate….whatever you desire. or moulds to cool. 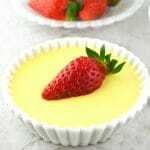 It makes for a perfect make ahead elegant dessert that’s great for entertaining or for a romantic evening at home. For Valentine’s Day I wanted something elegant and romantic that I could prep in the morning so there was no work involved at the end of the meal. Panna cotta was the obvious choice but to try something new I added white chocolate. It worked perfectly and was utterly delicious, it’s my new favourite way to make it! What’s your favourite dessert? Let me know in the comments below. It’s safe to say I’m totally addicted to this dessert. It’s fantastic anytime of the year but especially in summer because it’s so light an delicate. Add some citrus flavours such as orange or lemon and it’ll be super refreshing too. I can tell this will be a regular throughout the summer for me. 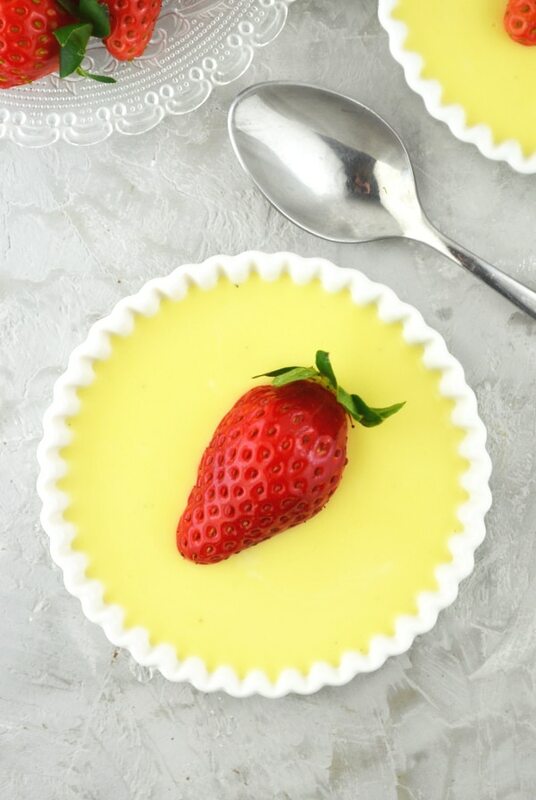 This delicious White Chocolate Panna Cotta is super easy to make making it the perfect make ahead dessert that's sure to impress! Soak the gelatin leaves in a bowl of cold water. Put the milk and cream in a saucepan and bring to a simmer. Turn off the heat and add the sugar and white chocolate, stir until dissolved and melted. Squeeze any water from the gelatin leaves then add to the milk and cream, stir until dissolved and set aside to cool. Once cooled pour into ramekins and place in the fridge for at least 5 hours. Serve with berries if desired. So yummy, love white chocolate so this is right up my street. What is the U.S. equivalent to a “leaf” of gelatin, please? Thank you. Hey Elaine, I just had a quick look online and it seems there are a few different answers. It seems 1 tablespoon of powdered gelatin = 3 gelatin leaves although I’ve never tried this before. I’m going to try and get ahold of powdered gelatin so I can try it out for myself. I hope it turns out ok for you! i have tried this last night and its taste was actually very tasty…but my cream remained a bit thick..what could be the reason?? That is such an elegant dessert! I wonder if I can substitute the gelatin with agar! I love panna cotta! 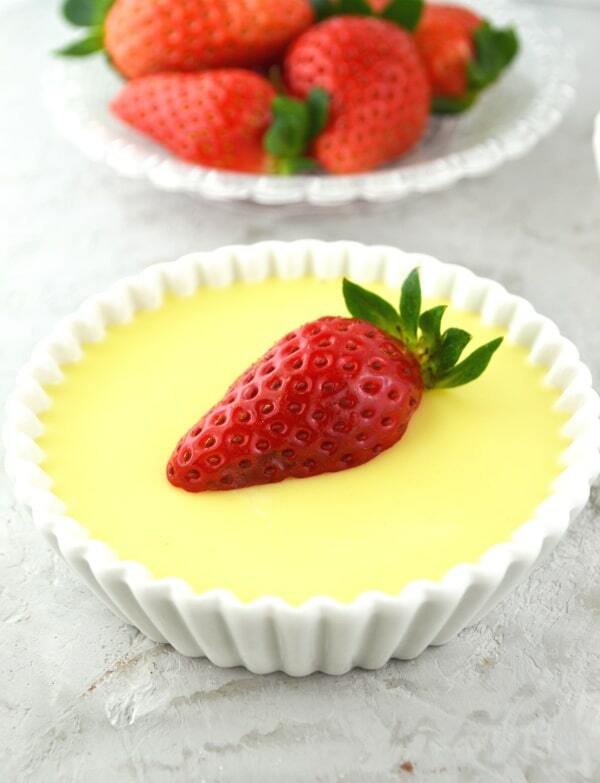 One of my favorite creamy desserts! My favorite dessert is probably pie – like a berry or peach pie – or a warm cookie, but I love panna cotta as well! I have never made it myself though! I need to add it to my bucket list of things I want to try making and this looks like the perfect recipe to start with! Thanks! This looks like a totally addictive dessert! Perfect for summer, I’ll definitely be saving this one to enjoy in the garden with fresh fruit as the weather gets hotter!